What can I say about the Grammys? While it was certainly more enjoyable than the Golden Globes (YAWN!) I'm still glad I TIVO'd the whole thing because there are always performances that I want to FAST-FORWARD through (i.e. 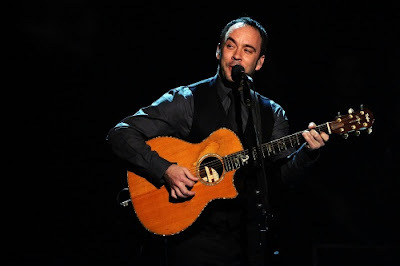 - Dave Matthews Band, Eminem/Drake/Lil' Wayne, etc.). I know that the Grammys are celebrating ALL music, which is great. I, personally, do not listen to all music, so having the option to skip those undesirables is...well...desirable. Standout performances for me included the dramatic opener starring Lady Gaga and Sir Elton John, P!nk's high-flying (and soaking wet) number and the Michael Jackson tribute featuring Usher, Celine Dion, Jennifer Hudson, Carrie Underwood and Smokey Robinson (minus the 3D FX). 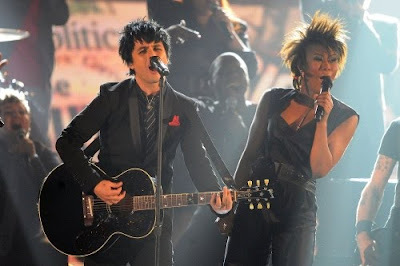 Halfway decent performances included Green Day's "21 Guns" performed by the cast of the American Idiot musical, the Jamie Foxx/T-Pain/Slash & Doug E. Fresh spectacle, the Les Paul tribute with Jeff Beck & Imelda May and The Black Eyed Peas doing "Imma Be"/"I Gotta Feeling." 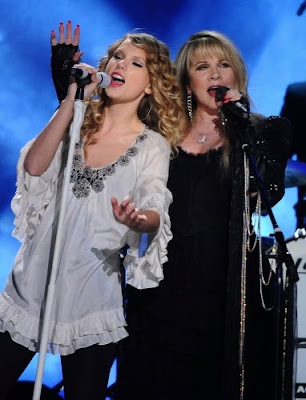 Disappointing performances included Beyoncé's "If I Were A Boy"/"You Oughta Know" medley and Taylor Swift's off-key "Today Was A Fairytale"/"Rhiannon"/"You Belong With Me" (the latter two featuring an appearance by Stevie Nicks) medley. 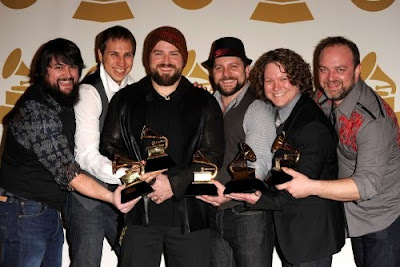 The Fast-Forward-Worthy performances for me included Bon Jovi, DMB, Lady Antebellum, Maxwell and The Zac Brown Band. All in all it was a good show. 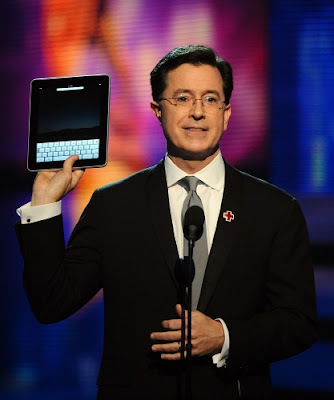 I did get excited for a minute when I thought Stephen Colbert was going to be hosting the show, but then I realized that the Grammys typically don't have a host. All the better if you ask me. It was overall GREAT seeing all of the musicians and miscellaneous stars of film and television present awards and random Lifetime Achievement awards. It was also great hearing someone from the industry telling the television audience to help support the artists by buying music legally. We'll see if America listens. Hopefully they do. 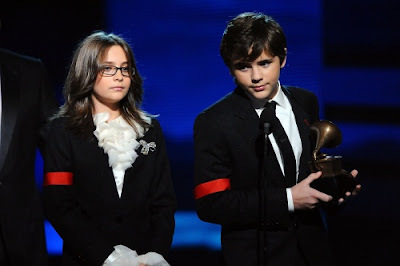 The only thing I'm really left on the fence about is the whole appearance by Michael Jackson's children - Paris & Prince Michael. Did they want to be there or did someone else want them to be there? I would like to think that they wanted to be there to honor their father. Both kids were obviously nervous, but felt the need to speak out about their father. It was touching in a way, but also rather unnerving. Music's Biggest Night was just that for CBS. 25.8 million Americans tuned in to watch the broadcast which is the largest audience for the telecast in six years. Pretty impressive! 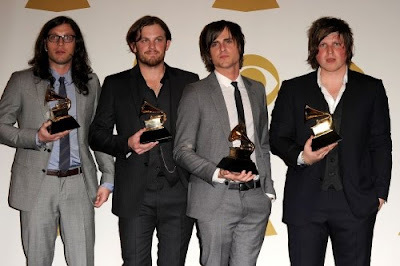 For a full list of the nominees and winners, check out Grammy.com.